Stories - Partners 4 Global Health, Inc.
On a particularly difficult travel day with multiple flat tires and delays we arrived late and very tired to our destination. Unable to set up the intended clinic this late in the day we created a makeshift treatment area. As the evening darkness closed in and we had to pack up the treatment area one of our team members noticed a mother walking down the hill with a child in her arms. She had gotten word that a medical team had arrived and had walked several hours to reach us. Her young son had a stocking cap pulled down over half of his face and was hot with a fever. Upon examination the team discovered that he had severe cellulitis of the face from an infected tooth. In addition to this he also had a heart murmur. 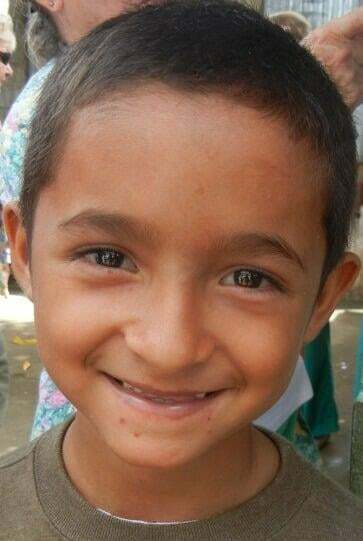 With the proper antibiotics and fever reducing medicines we had on hand we were able to treat this boy successfully, and we also made a referral to a local hospital for follow up care. We truly don't know if he would have survived without these interventions. In the last few hours of our 2011 medical mission clinic in the neighborhood of Las Torres, we met Engel. He was a very thin appearing 8 year old who appeared very weak. His mother accompanied him and began to tell his story. She explained that Engel was born with a heart defect that did not get diagnosed until he was 3 years old and not developing as other children. At that time the physicians told his parents that he would eventually develop pulmonary hypertension, start spitting up blood and would likely die by the age of 8. His health continued to decline and as they predicted he had begun to cough of blood. He could no longer attend school regularly due to his decline in health. His parents said that they had prayed that God would send help. 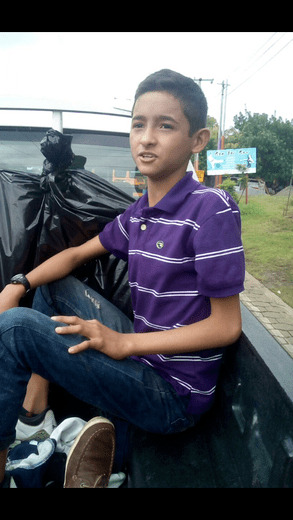 The physicians in Nicaragua concluded that he would not survive surgical repair of his defect. They were treating him with medications to try and extend his life and make it more comfortable. 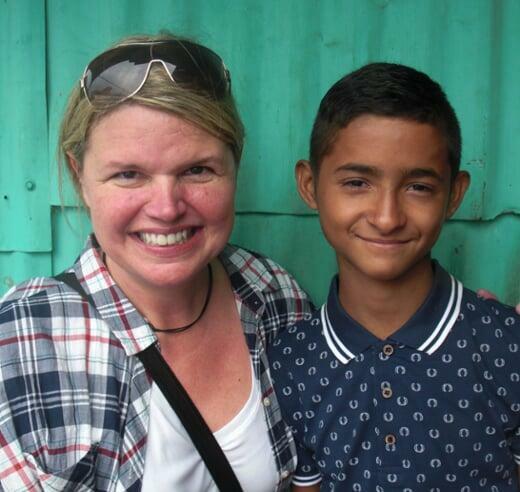 Gema, Engel's mother brought him to our clinic to see if we could pray for him since they had tried everything else. The group rallied around him and offered prayers for a miracle. The team returned to the USA with Engel heavy on their hearts. A google search lead Ali to a group of Americans at the International Children's Heart Foundation. His records were reviewed and a physician from that group contacted her to let her know that he was and his team specialized in children with Engel's heart defect. 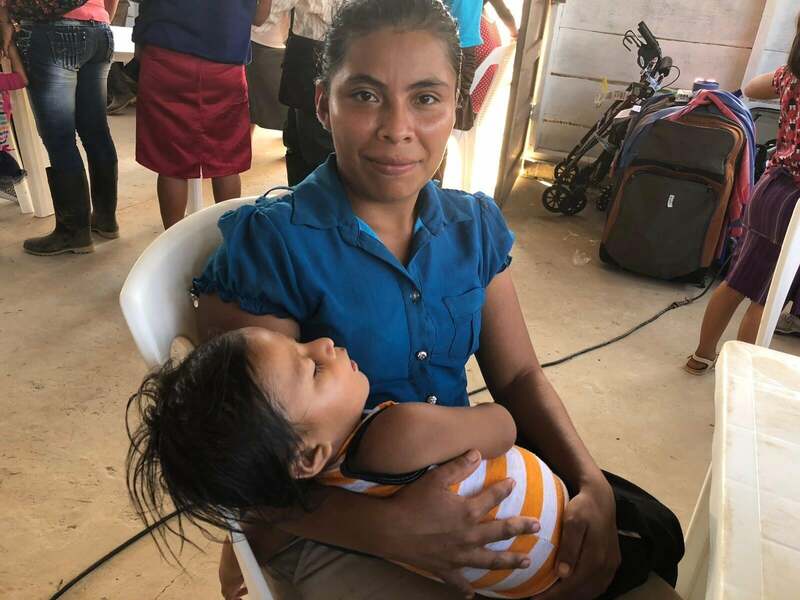 He and his team would be in Honduras the next month and willing to evaluate him for surgery if we could get him to their location. 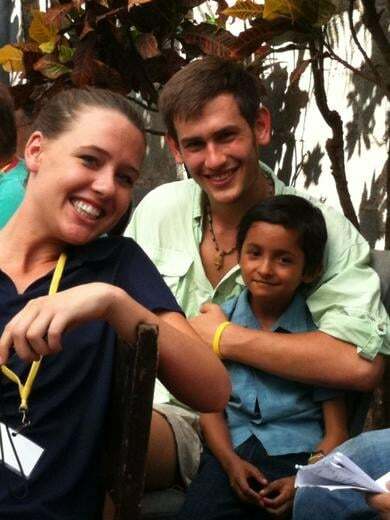 Ali and her step father, Lloyd went to Nicaragua to join a few of their friends including Engel and his mother. 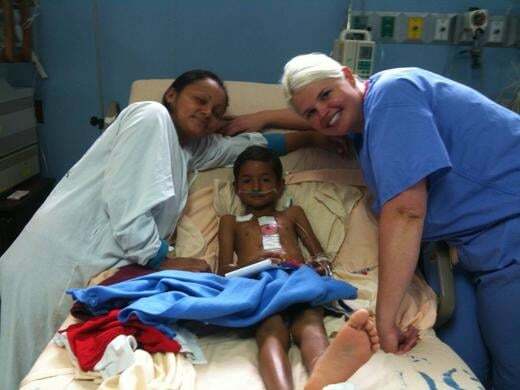 They drove to Tegucigalpa, Honduras where they met with the team of surgeons. They team determined they Engel was the perfect candidate for surgery. They invited Ali to assist in surgery. The surgeon placed her hands on Engel's heart and said, "now you can say that you have touched his heart from the inside out." The surgery was a success and his condition continued to improve. Engel returned back to his house and began to learn how to live as a normal child. He no longer has a dysfunctional heart. He has learned to run and play as the other kids. He began attending school and church regularly. He continues to grow and is a healthy young man who has aspirations of taking care of others. wheelchair that will be functional for many years to come. Notice how he has outgrown his mom.